BSQ was selected and invited to participate in two international gatherings putting together innovative startups with C-Level executives of large international companies and venture capital funds in order to develop collaborations. 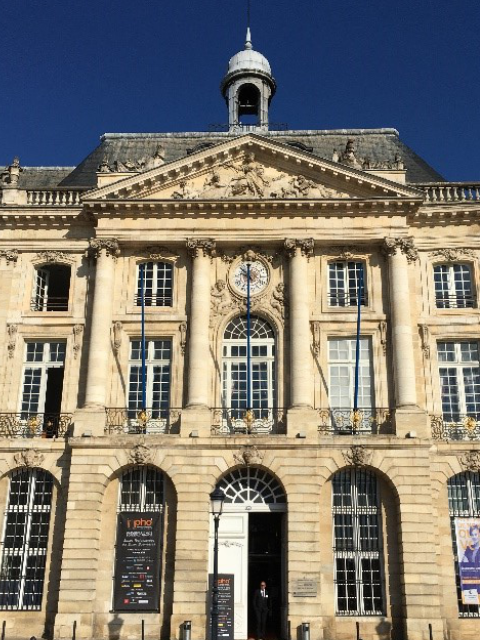 First among them and already advanced in the previous N4 issue, was the Inpho Venture Summit that is being held every two years in Bordeaux at the magnificent Place de la Bourse that took place on Oct 6th and 7th. BSQ Solar was one of the 20 companies selected to present its products and business plan at the 2016 edition. Specifically, BSQ together with four other start-ups were invited to pitch in front of investors in the Cleantech Session. Furthermore, it was a well-organized networking event in which BSQ could introduce, through one-on-one meetings, the key points of the REPHLECT value proposition, its business plan and technology, to potential investors and business partners both from Europe and abroad, particularly Silicon Valley, carefully matched by the event organizer Blumorpho. This event was almost immediately followed by another one of a similar spirit, organized by the European Commission in Brussels on 10-11 Oct: the SME Instrument Innovators Summit. This event has been designed by EASME (EC’s Executive Agency for SMEs) to further support SME Instrument Champions, i.e. winners of Phase 1 or Phase 2 SME Instrument funding, such as is the case for BSQ. The event was held at “The Egg”, a retrofitted early 20th century industrial building, that serves both as an incubator to startups and as a multipurpose events center. Dr. Bernd Reichert, Head of Unit “SMEs in Horizon 2020” at EASME, delivered the opening plenary talk. Several other keynote speakers took the floor during the two days event, seasoned entrepreneurs that explained business cases coming from their experience with startups. Numerous parallel workshops on different business topics of special interest to technological startups were also scheduled throughout the event, as well as pitching sessions in front of invited investors and venture capitalists. However, as in the previously described gathering, the most interesting feature of the SMEI Innovators Summit was the intensive networking facilitated throughout the event, again through one on one time limited interviews scheduled through a specific matchmaking web application. BSQ made good use of this application and was able to present the REPHLECT project and the underlying BSQ HCPV technology to potential partners, business angels and venture capitalists, as well as to European Commission officers participating in the event related to EU programs supporting technological SMEs in different ways.